Looking for Polyflor products? Polysafe Standard, Astral, Vogue, Hydro, Forest Fx, Polysafe Wood Fx, Secura, Camaro, Colonia. N&S Flooring have been supplying and installing Polyflor flooring products in Bristol Bath and the South West of England since 1967, Our teams of expert employed floor-layers are trained by Polyflor to deliver the very highest standards of workmanship, to ensure that your new Polyflor flooring solution lasts and looks great for years to come. 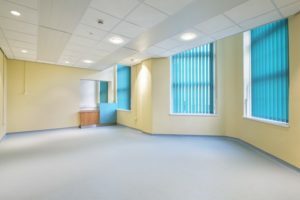 Polyflor offer commercial vinyl flooring solutions for schools, private homes and residential properties, industrial and commercial applications, offices, elderly peoples & care homes, prisons and many more applications. The range of Polyflor flooring products is growing year on year thanks to Polyflor's commitment to product development and research, designed and manufactured in the UK, supporting home grown manufacture and investment in UK industry, and offering depth of product stock great enough to satisfy even the largest of projects. N&S Flooring also offer expert sub floor preparation services such as latex smoothing and floor levelling compounds from Ardex UK, Uzin, Tremco and F Ball, Laybond-Bostik, and plywood floor preparation to timber bases, now also offering damp proofing solutions. Polyflor products have also been used successfully in a wide range of retail environments form coffee shops, to large scale superstores Polyflor offer a retail flooring solution to suit every type of budget. 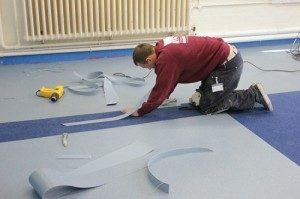 N&S Flooring are the one stop solution for all of your Polyflor flooring Bristol, safety flooring, slip resistant vinyl, non-slip flooring & vinyl flooring & floor tile requirements.